Elizabeth is passionate about changing people’s perceptions of healthy eating. After years working one-to-one with clients, she’s seen first-hand how changing the food people eat can revitalize health, energy levels and wellbeing. 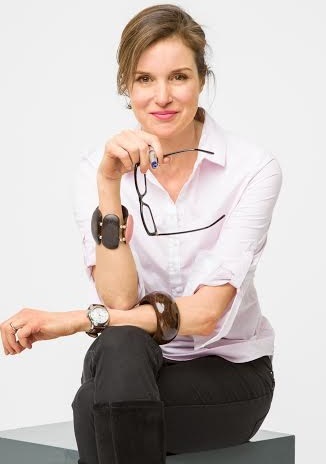 Starting small from her London clinic two decades ago, Elizabeth has gone global with her company EPJ Health and now works to find life-changing solutions for people’s health-related problems though lecturing, writing, consulting and broadcasting on food, health, cooking and lifestyle. Elizabeth believes that eating tasty, nutritionally rich foods should be within everyone’s reach whatever their budget or background. Her books offer wholesome foods, simple cooking methods and great recipes to help everyone get on the track to good health and optimum wellbeing. As well as writing books, articles and lecturing, Elizabeth has launched her own Go Nuts! healthy snack range, and works extensively with spas and hotels to develop nutritious bespoke menus, juices and snacks that clients love. Food has a proven influence on brain and behaviour and Elizabeth is also engaged in working with addiction clinics and model agencies to promote better nutritional health. Elizabeth has established herself as a thought leader for the healthy food movement, speaking with authenticity and authority to help people make dietary and lifestyle changes that rejuvenate their health, looks and wellbeing. Listen – I hear things even when they are not said. Mixing my learning, intuition, experience and matching it to peoples needs – emotionally & healthwise. In a desert in the middle of Botswanna in a sand storm. No petrol, no water, no food. Business: Start an awareness revolution. Give people choice & the ability to heal themselves. For those who say it cannot be done, should not stop the person doing it.